3D printed white SLA resin. Fluid form is a series of five sculptures based on the propagation of waves through fluids. A simulation of rippling water was folded in 3D space to produce a fluid virtual entity which cannot exist according to real world physics. Its form unfolding over time, moments in the process were captured as static objects. 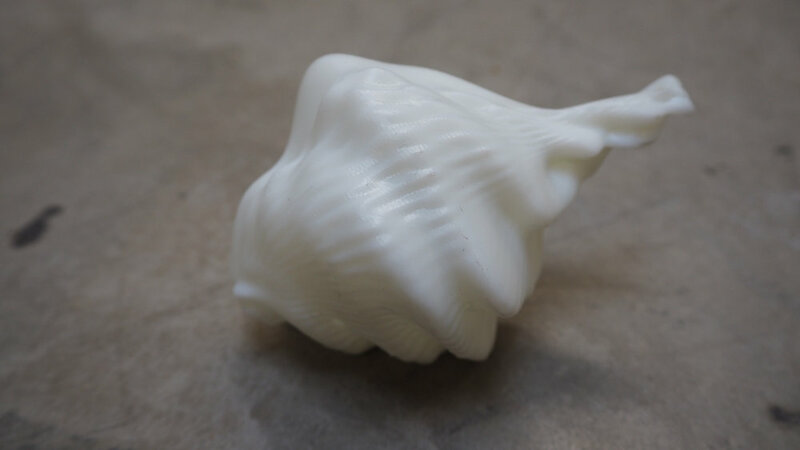 The sculptures are 3D printed in white resin using stereolithography. The speculative objects are physically realised through a process in which the inherent tendencies of the material are engineered directly, by altering its molecular structure.